Bideford now the little pastel coloured, not white town as described in the 20th century by author Charles Kingsley, alongside the River Torridge in North Devon. Once an important port. Only a few miles from the beaches of the Atlantic Coast, and washed lashed headlands. Bideford like its larger sister Barnstaple has a Pannier market with its own Butchers Row. Local farmers still bring their diary produce to sell. Craft stalls proved added interest for the browser. 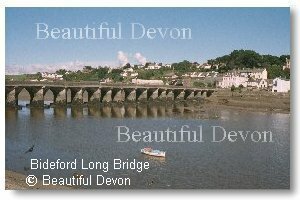 Bideford Long Bridge, spanning the River Torridge. with its 24 spans, all different, though widened in the 18th, 19th and early 20th Centuries dates from Medieval times. The original bridge was oak, like its masonry sucessor's with 24 spans, founded upon an ancient causeway. Loose stone was placed around the timber footings, forming scour protection known as stirling, some of which is still visible today. In around 1474 work began on what is one of the finest and longest span (677 feet) arch bridges in the Country. Later additions included widening the bridge to provide a footpath. In Victorian times replacing the stone parapets with cast iron, themselves replaced with masonry in the 1920's. In the Burton Art Gallery, along the Quay, a particularly fine and detailed scale model of the bridge through the ages, with churches at each end. Bridgeland Street with its 17th Century Merchant's Houses, dates from the time in the 16th and 17th Centuries when Bideford was one of the busiest ports in England (in fact the 3rd largest) , handling cargoes of all kinds, including a lucrative trade in tobacco and cotton from the New World. The Quay has recently been widened as part of a Flood Defence Scheme lined with trees it makes a particularly pleasant spot to sit and watch the world go by. Or watch the few local fishing boats land their catch, or cargo boats being loaded. Down river where "the two rivers meet" of Henry Williamsons' Tarka the Otter famous novel is so picturesque Appledore , itself like Bideford an important ship building centre and port. Across the River is Instow , a popular family beach in Summer, a nice place for a bracing walk in Winter. Just outside Instow are Tapely Park and Gardens, woodland terraced Italian gardens, containing a rich variety of trees and shrubs, with a lake, and good views over the River. Places to See Family attractions include the Big Sheep, at nearby Abbotsham, and the Milky Way near to Clovelly- sheep racing and duck trailing and indoor adventure playground Clovelly White washed houses clinging to the hillside. Cobbled village streets leading down to a most ancient and beautiful harbour. Along the Coast is Hartland Point, where the Atlantic waves often rush in pushed by Winter Storms. On a clear Day Lundy Island can easily be seen in the distance. 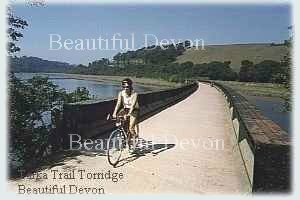 Tarka Trail Feeling fit why not explore the Tarka Trail, either on foot or by cycle?. 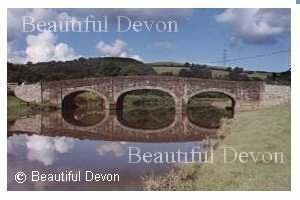 Head inland towards Torrington with the River Torridge always near by the Trail becomes more and more wooded, head down river to Instow and if you are really keen then follow the River Taw to Barnstaple. Left your bike at home? Bikes can be hired at the Station and several places along the Trail.